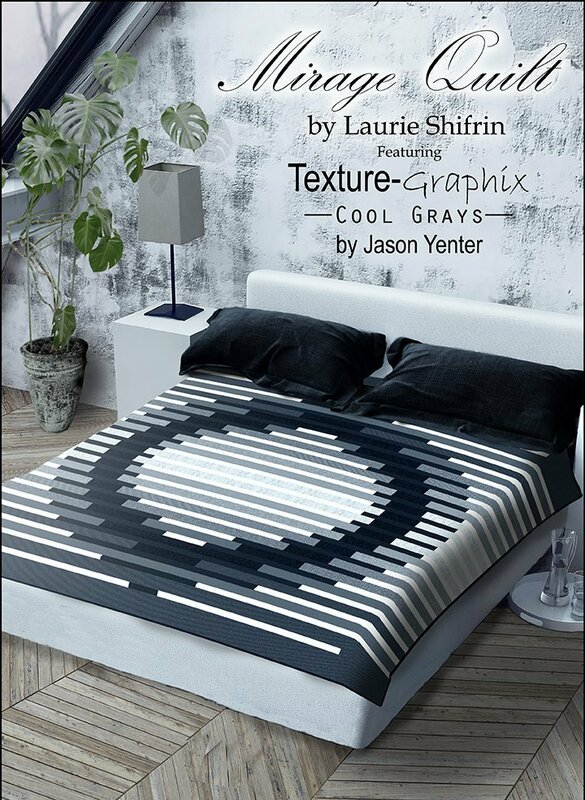 The Mirage Quilt Kit makes a bold and modern quilt using black, white and gray. The Mirage Quilt Kit includes the pattern by Laurie Shifrin and the top and binding fabric, by Jason Yenter for In The Beginning Fabrics. The finished quilt measures 80" x 80".